Call the clubhouse on 01234-378181 to reserve a place by Wednesday! 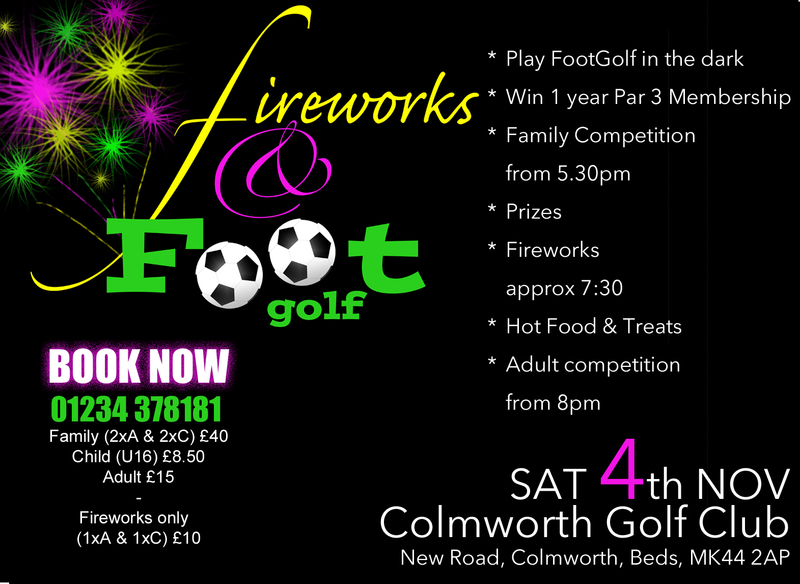 On the 4th of November our FootGolf course will be ablaze with colours to guide you in the dark of night, with reflective footballs and glow sticks galore! Each player will be given a head torch to help them on their way. There will be two competitions, one earlier from 5:30 for children (and their parents) and a later wave (approximately 8pm) for adults. With a selection of prizes, firework display and tasty treats this is set to be another great night.